I'm all about the chalkboard paint craze. I would make anything into a chalkboard! I've thought from the beginning that this is one of the most fun & clever trends. For awhile I've been wanting to execute this project, but I never "got around to it." Isn't it funny how we never get around to doing the things we really want to do? Instead, I find myself lounging around at night in front of the TV or browsing the facebooks. If there's one thing that has made me happiest regarding this project, it's the fact that it finally gets me doing the stuff I really wanted to be doing all along. 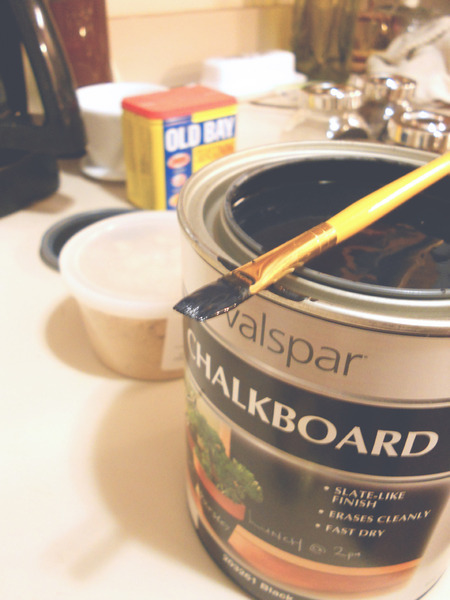 So I grabbed a quart of chalkboard paint from Lowe's (brand: valspar, price: $13.49) and got started on this very easy project. The pice jars are from IKEA ($2.99 for 4). 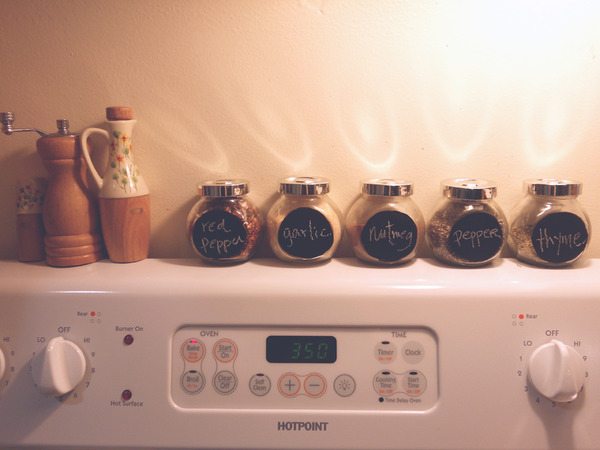 I like having my spice collection displayed in matching containers, but I'm no connoisseur, so unless it was my most frequently used spices I often had trouble telling which was which! The flat sides on these jars provided the perfect canvas for the paint. I may have painted on 5 or 6 coats of the chalkboard, but considering it's about 1.5 square inches, it wasn't too painful. 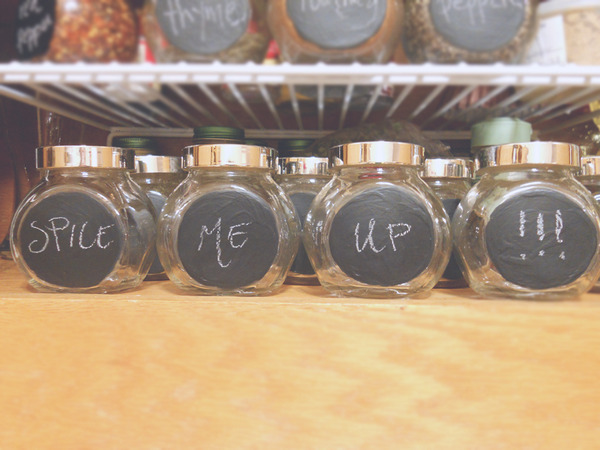 I revamped my jars by painting chalkboards for all my current spices, and then I painted 4 for you! You don't have to store spices in these--they would also be useful for beads, buttons, pins and the like. Also, someone needs to buy these caramels! Soon they won't be fresh and I'll have to eat them all myself. Did I scare you off with the whole burnt fiasco? I think I was being dramatic, because I ate about a pound of this caramel over the weekend. I hope you all had a happy Monday! Did you have off from work this MLK Jr. day? If you missed my story about Luke's uncle spending the night in jail with MLKJ himself, go check it out on facebook. Crazy! A Salvaged Project & A Winner!